Canadian Club, aged for forty years, in a solera style of aging. What’s that mean? As barrels age in the warehouse, evaporation occurs. This is often referred to as angel share. Evaporating barrels take up unnecessary space. One solution to this problem is to combine whiskies within barrels from the same allotment. This way, whisky produced on the same day, are slowly combined into fewer and fewer barrels whisky evaporates from the barrel. This practice is common in Canadian whisky. 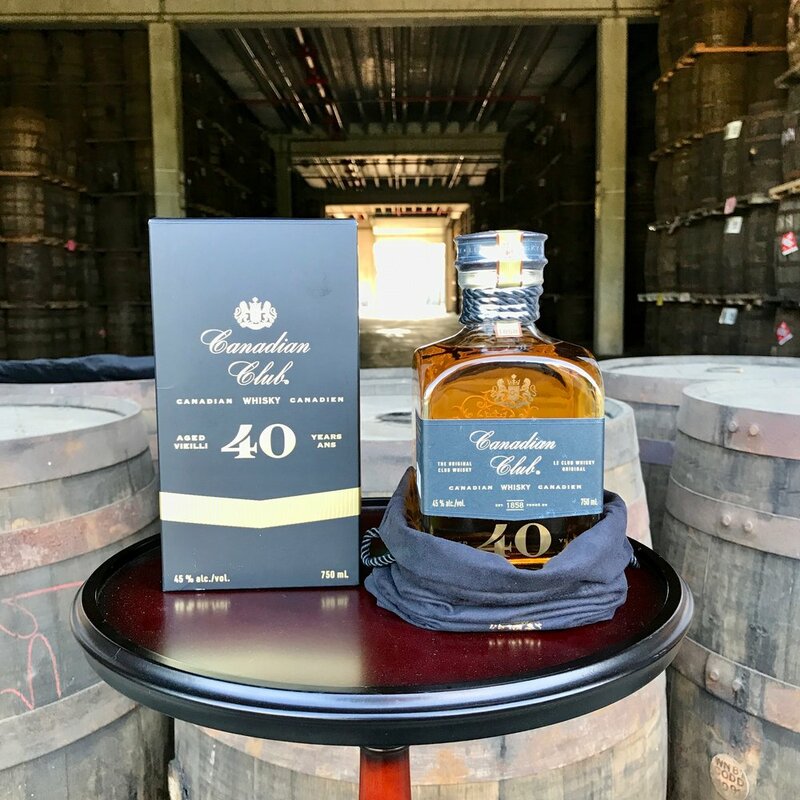 In the case of Canadian Club 40, it’s been happening for 40 years. This is reflected in the flavour of whisky each step of the way. It’s not quite what you’d expect from a whisky this old. Place a glass of it next to Canadian Club 12 (that’s been finished in sherry barrels), and it looks pale! That’s not a complaint, just an interesting observation. 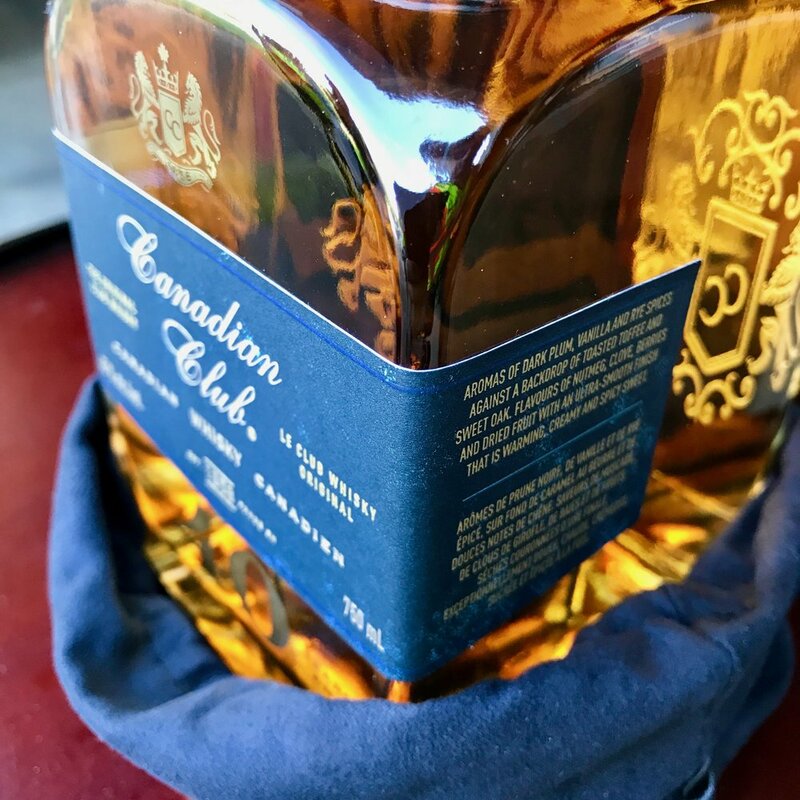 Pale in colour, rich on flavour, this is the type of whisky we need to see more of from Canadian Club. This whisky sold-out last year before I could even write the review, but I'm hoping for more of this type of whisky in the years to come. I bought a bottle the year my twins were born, and I've stored it away for a special occasion. Nose: Beautiful fresh lemon citrus, vanilla, oak, and hints of dark leather. Palate: Nice warm caramel, melting over tongue with buttery goodness, quickly followed by rapidly building oak spice. The finish is long and beautiful, complete with these gorgeous caramel touches that are complimented with plenty of peppery spice. Subtle and boxed in, what CC 40 Year does well, it does extremely well. Not everyone will love the light caramel notes or the intense oak spice, but those two elements are brought together beautifully with this rich buttery layer.